All data points below are drawn from the report sponsored by Hopelab/Well Being Trust. Young adults (18- to 22-year-olds) are more likely than teens (14- to 17-year-olds) to say they access all types of online health resources – information, peer advice, personal stories, connections to health providers, and health-related apps. There are no differences in how helpful those in different age groups find the online resources they use. 94% of young adults say they have gone online for health information, compared to 79% of teens. The largest differences are in the older group’s searches for information on pregnancy (a 28 percentage point difference), anxiety (26 point difference), depression (23 point difference), birth control (22 point difference), and stress (22 point difference). 76% of young adults say they have tried a health-related mobile app, compared with 49% of teens. On average, young adults say they have tried two health apps, whereas teens have typically tried just one. A third (34%) of the older group reports currently using a mobile health app, compared to 14% of the teens. 69% of young adults say they have watched or read something online about other people’s health experiences, compared to 52% of teens. 51% of young adults say they have tried to find people online with health concerns similar to their own, compared to 25% of teens. 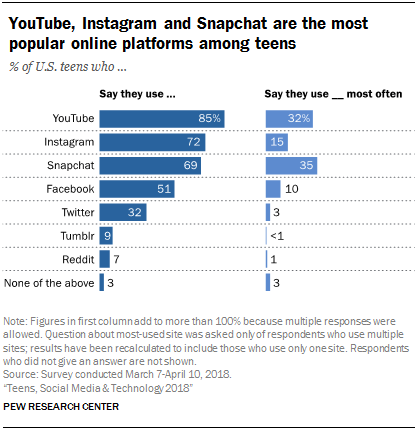 20% of young adults report sharing their own health experiences online, whether through social media, blog posts, or videos; 8% of teens report doing so. 28% of young adults say they have connected to health providers online, compared to 10% of teens.